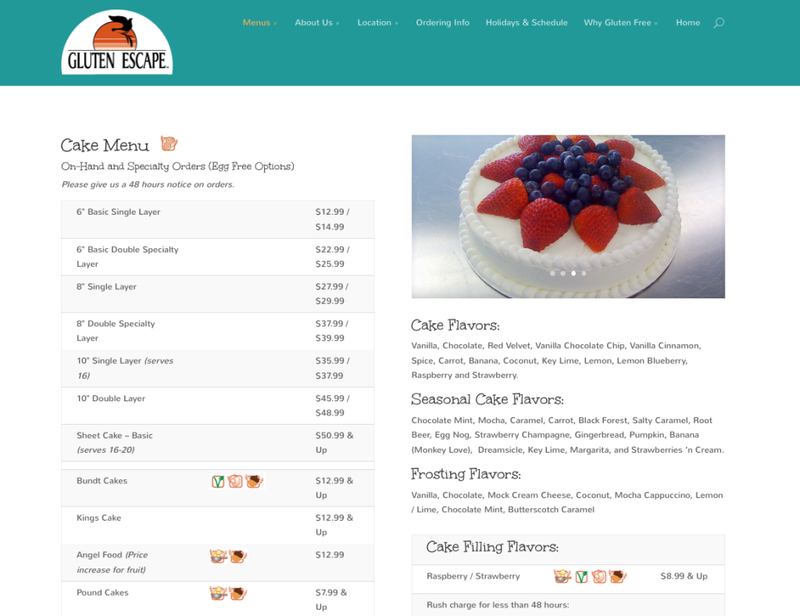 LCC, Inc. had the challenge to bring the rich texture and moistness of the gluten free products to life on the web. Lucy was fortunate to work on site in the kitchen with Kathy Letson to do a full day photo shoot of the full set of products. 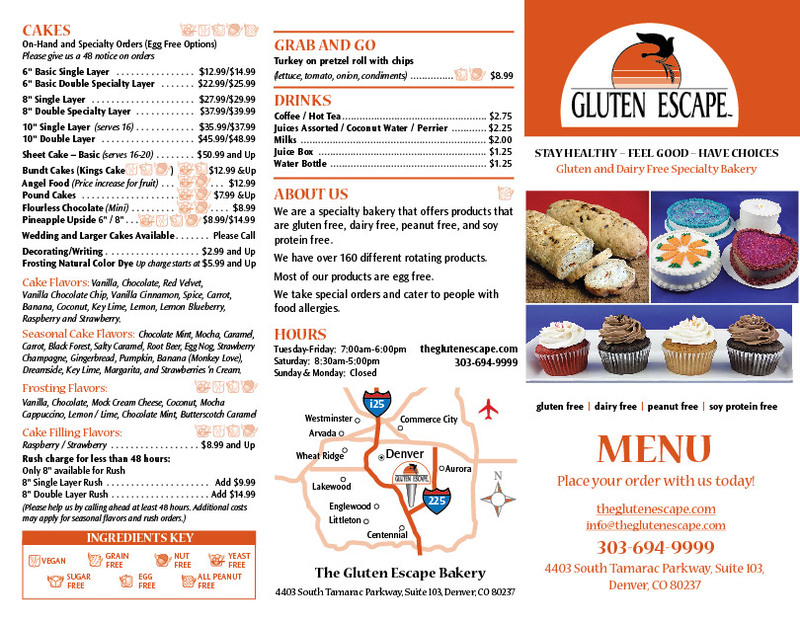 This gave a great set of imagery to produce the Gluten Escape Specialty Bakery website and product packaging. We continue to assist with studio food photography and branding for a Gluten Free Specialty Bakery located in Denver Colorado. 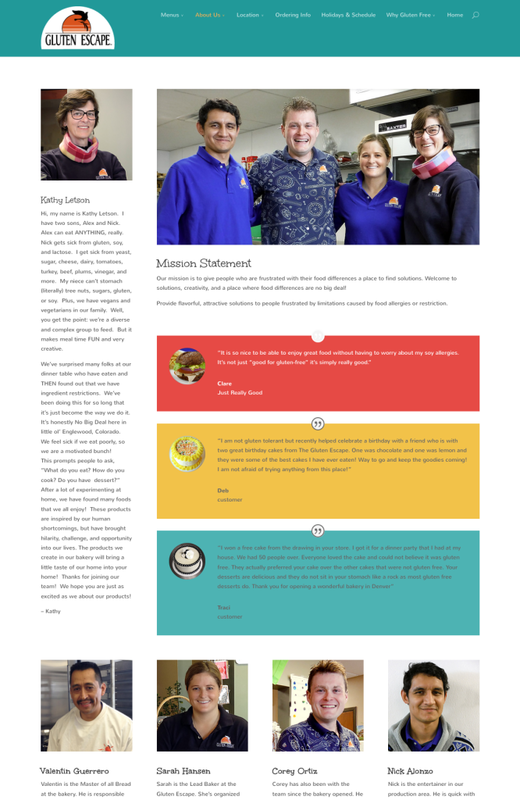 Lucy assisted with embedding the social media news feed and posts directly on their website from Facebook. This allows for the cupcake flavor of the day to be displayed quickly and efficiently. The website is responsive for smartphone and iPad or tablet screen sizes. See below for sample screen captures of those expanded monitor views. 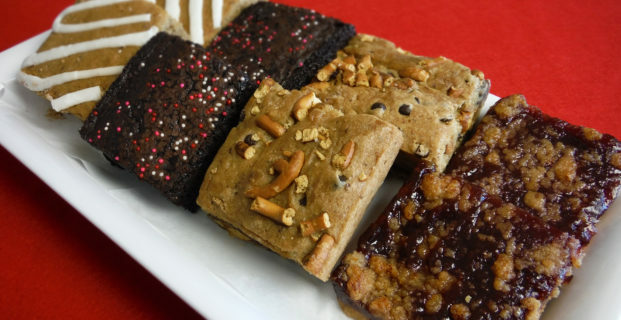 Bakery menus for each product category with ingredient icons developed specifically for the print and online menus. Lucy Clark also produced the bakery printed menu including custom icons for easy scanning to learn the ingredients for food allergies.